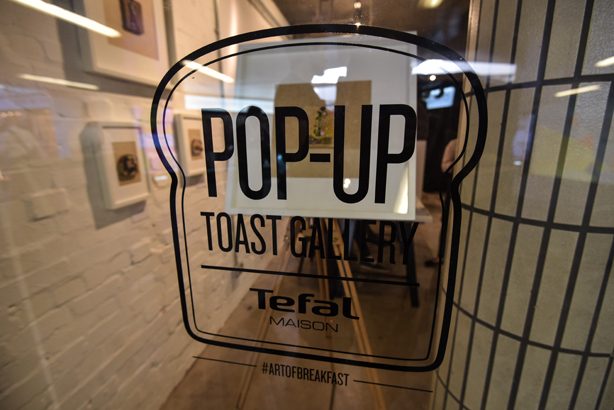 Small appliance manufacturer Tefal has set up a gallery featuring toast art at Old Street Underground Station to launch its new Maison breakfast appliance range. Some of the pieces that have been recreated (see gallery above) include Van Gogh’s The Bedroom and The Great Wave by Hokusai. 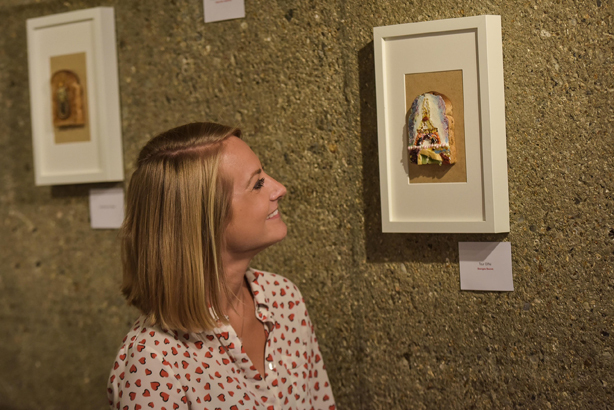 The art is on display to the public in a one-off Art of Breakfast exhibition (see pictures below) until tomorrow (12 August). 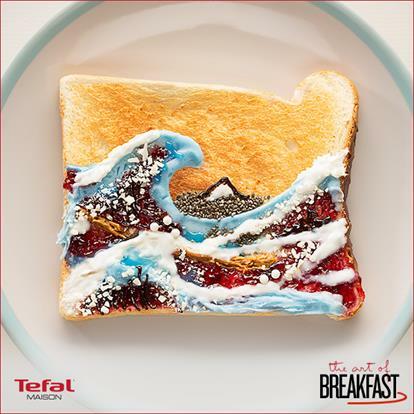 Rémi Fondeux, Tefal’s kitchen electrics marketing manager, said: "Breakfast has become a much-neglected meal in our daily lives as the world we live in grows faster in pace by the day. 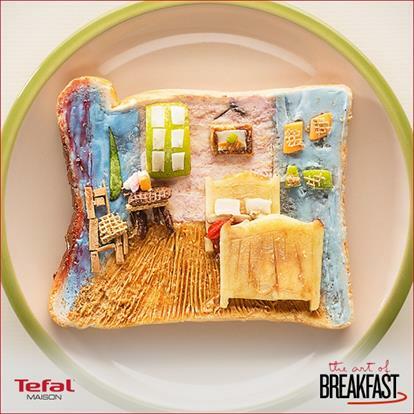 We want consumers to fall in love with breakfast again and unlock the potential the meal has for beautiful food. This quirky gallery is a fun way to showcase the humble loaf in an entirely new light." Bray Leino is the creative and PR agency for the campaign, while the food art bloggers at Fresh Heather were commissioned to work on the project and create the artworks. 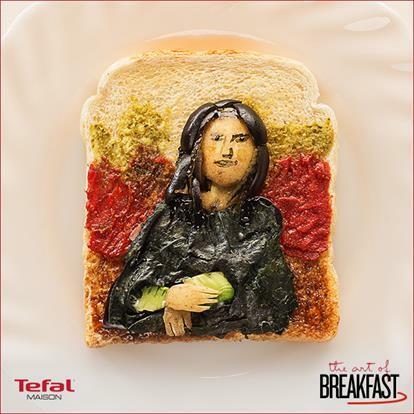 The brand is also running a competition for consumers to take part in and get creative by sharing their own breakfast works of art on Twitter and Instagram using #ArtofBreakfast for a chance to win prizes.